Hi there, how are you doing? I hope you have had a really good couple of week’s. Mine have been busy with lots of fun things going on. 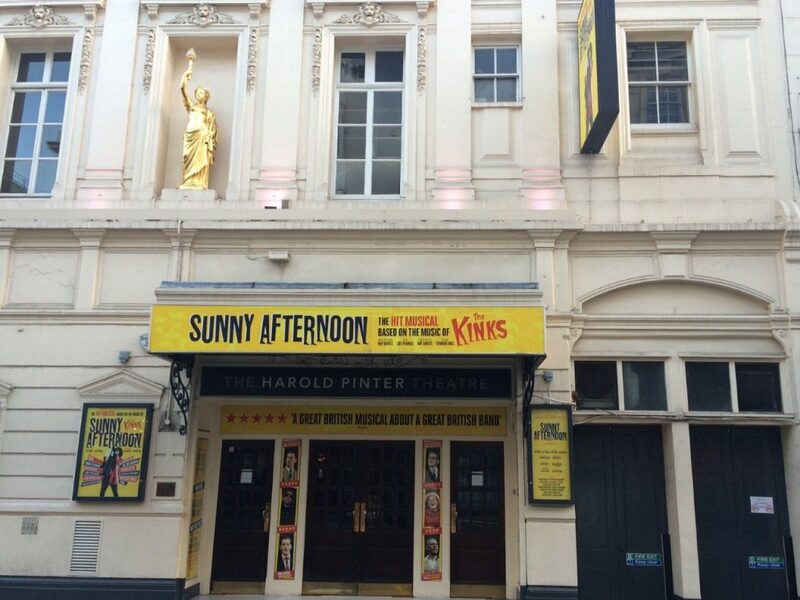 A few Friday’s ago I went to the Harold Pinter Theatre in London to see Sunny Afternoon. It is a musical telling the story of the band The Kinks featuring all of their big hit songs including of course the title of the play. It was a really great show. The cast were excellent. All extremely talented actors, singers and even musician’s. As all of the songs were performed completely live on the stage.I must admit that although I was familiar with the band and their music. I was not completely aware of their story. I knew a few bits and pieces about their history. And I was aware that the relationship between the two brothers in the group was at best awkward. Basically the group started as a party function band. Just as backing for another singer. But he was being outshone by the lead and rhythm guitarists. So he became their manager and Dave and Ray Davies were sent forward to front the group. At that point becoming The Kinks. Ray Davies was the main songwriter and singer. While Dave Davies was the brilliant lead guitarist. Who ended up playing all those iconic rifts to their huge tunes. Dave was younger and wilder. Ray was older but more introverted.Which led to some moments on stage when they were literally fighting each other to be centre stage. Which is brilliantly portrayed during this performance. It was a fantastic show, with plenty of real life emotion and pathos to it. A very compelling story with just a constant string of amazing songs coming up one after another. The finale was great and featured a brilliant version of one of the band’s biggest hit’s. The whole cast looked like they were really enjoying themselves. It is always the sign of a good show. When you leave in a great mood with a couple of the songs stuck in your head in my opinion. I was back in the Criterion Theatre a few days later to watch a show that I had been meaning to see for a while now. The other year I went and saw the hilarious “The Play That Goes Wrong”. 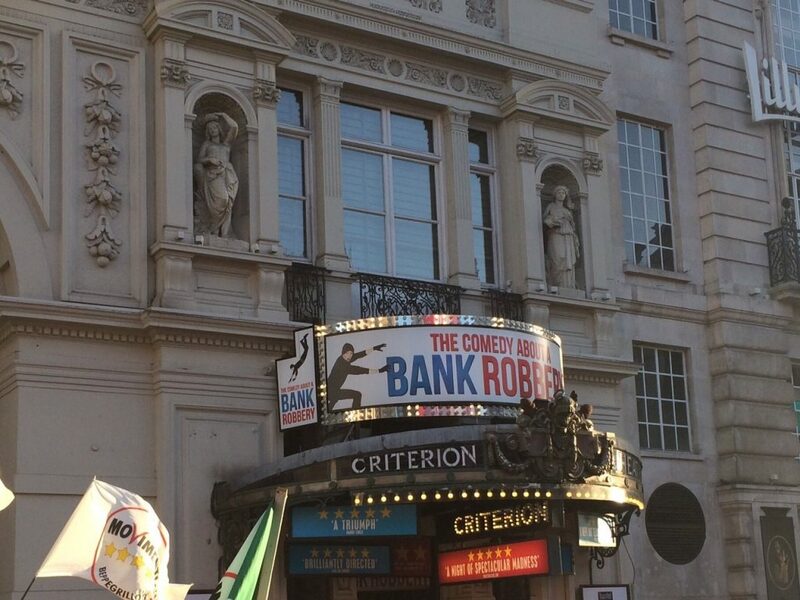 Which was written and performed by the brilliant Mischief Theatre Company.Well they have another play on in London at the minute called “The Comedy About A Bank Robbery”. Which is what I went to see. It was exactly the same cast that I saw perform in their first play. So they had all moved across to take the leading roles in this latest production. And once again they were all fantastic. They are all so talented. The title does sum up the play very nicely. It does exactly what it says on the tin. It is just a good old fashioned fun production. Including great word play, innuendo, farce and slapstick. All within a brilliantly woven and clever plot. Which will make you laugh out loud. Plus there are actually a couple of unexpected twists in the tale to. It is simply another quality and entertaining show from this very clever and close knit theatre company. They have found a style and niche that seems to work for them. And they are tremendous at executing it. The timing of some of the set pieces just has to be seen to be believed. I would recommend seeing either of their two shows. If you want a good old belly laugh from your night out at the theatre. They have a third play as well. Which they perform around the festive period called “Peter Pan Goes Wrong” which is on between now and January. It is something I plan to see. A version of it has already been filmed and it will be on the BBC over the Christmas period. I would suggest you keep a look out for it and watch it if you get the chance. If it is half as good as their other two plays I have already seen, it will be excellent. Such a friendly group as well. I did get to speak to one of the cast very briefly after and they love what they do and really enjoy doing it. I have spent the last two Monday evening’s laughing my head off at a brilliant comedy night in London. That I had been meaning to experience for the last year. So I was delighted to finally get the chance to check it out. It is held every Monday night at The Phoenix Pub. Which is just off Regent Street, right in the heart of the West End.It is run by the very funny Tiff Stevenson and the night is called Old Rope Comedy. She hosts it every week and it is a new material night for both upcoming and very established comedians to try out new jokes. There is actually a rope hanging from the centre of the stage. And if a comedian does a joke that they have done before. They are meant to hold it. As a symbol for money for old rope. Hence where the night gets its name from. This is to encourage them to try out new stuff only. And so the audience will know when they do existing material. It is a very well run, established and respected night. So therefore does attract some well known performers each week. On my first visit I saw Sarah Kendall and Tony Law perform. Both of whom have their own show’s on Radio 4. I actually gigged with Tony Law myself when I made my stand up comedy debut at the Roving Comedy Night of the Tringe Festival. 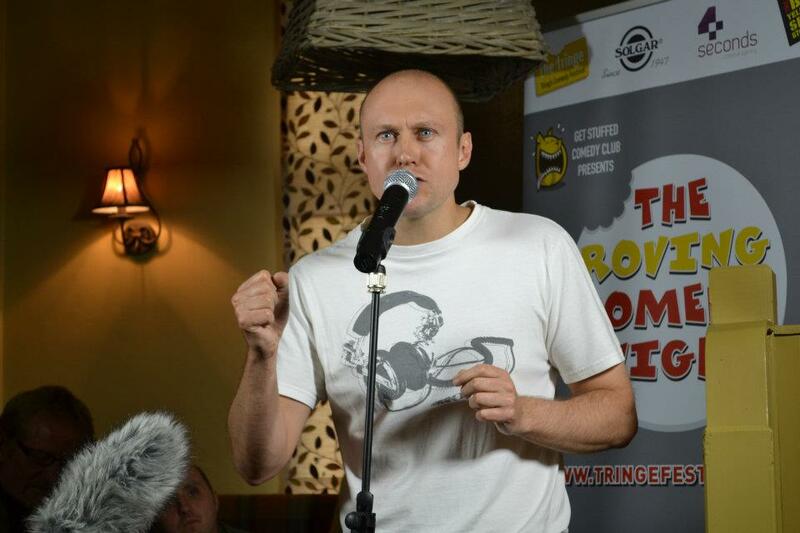 He was the headline act for my show and was excellent on stage and giving advice between gigs.He has once again re-invented himself with a completely new look and image and was hilarious during his set. It was Sarah Kendall who headlined. And did a run through of her soon to be recorded latest radio show. Which was based on her last Edinbrugh Fringe Festival Show. All the comedians on the night were brilliant including an eighty odd year old female comic, who was quality. The atmosphere in the place was perfect for comedy. A nice, polite expectant audience. Who were just there to have a good time and a few laughs on a Monday Night. 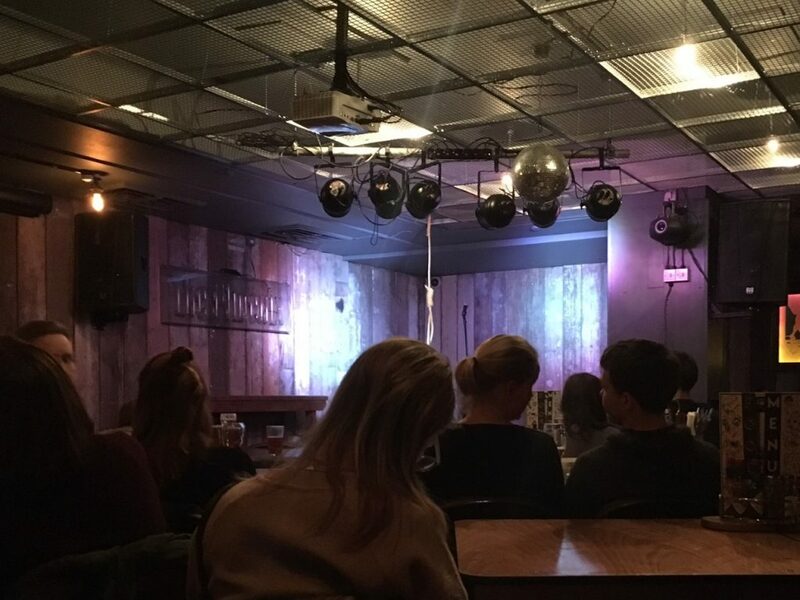 On my second visit the comedians performing included the excellent Aisling Bea, Brian Gittins and someone to certainly keep an eye out for called Lou Sanders. Who is also very funny. Do go along if you ever get the chance. It is a great fun night out. 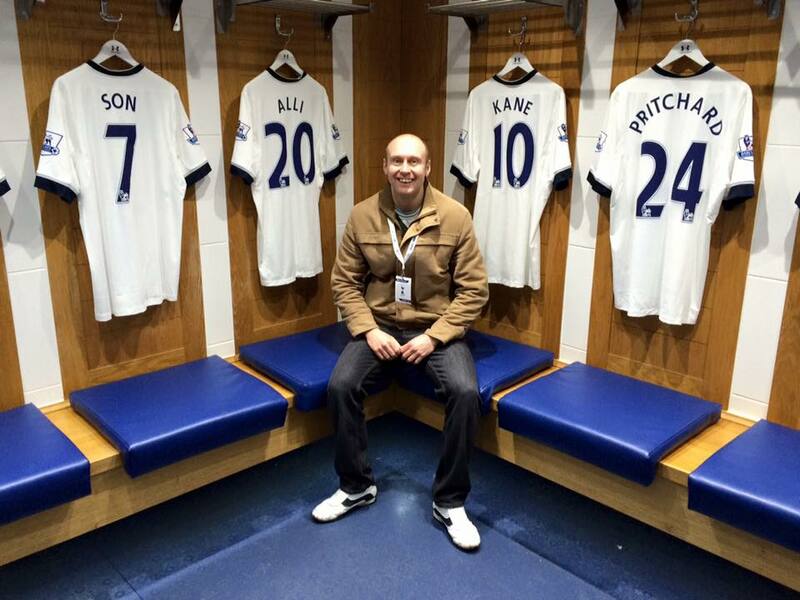 I am still happy with the way things are going for Tottenham Hostpur currently. Although we have been drawing a few too many games recently. We do still remain unbeaten in the Premier League. We are in fifth place one point off the top spot. Things have been a lot worse than that this stage of the season in the past. We are still in with a chance of qualifying for the next stage of the Champions League to. Although we are suffering a bit from a lack of goals currently. So it will be good to have Harry Kane back in the team soon, I hope. Another team I like to keep an eye on is Wycombe Wanderers. I used to go and watch them play regularly as a child. And for a season or two I was the owner of a season ticket there. I kind of grew up watching the Martin O’Neil era unfold. 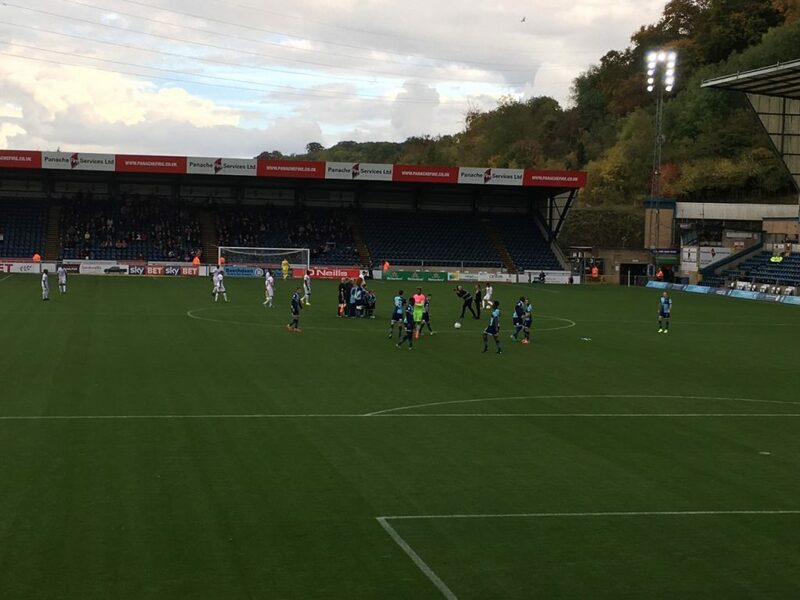 Mind you the first Wycombe game I saw at their old ground Loakes Park. 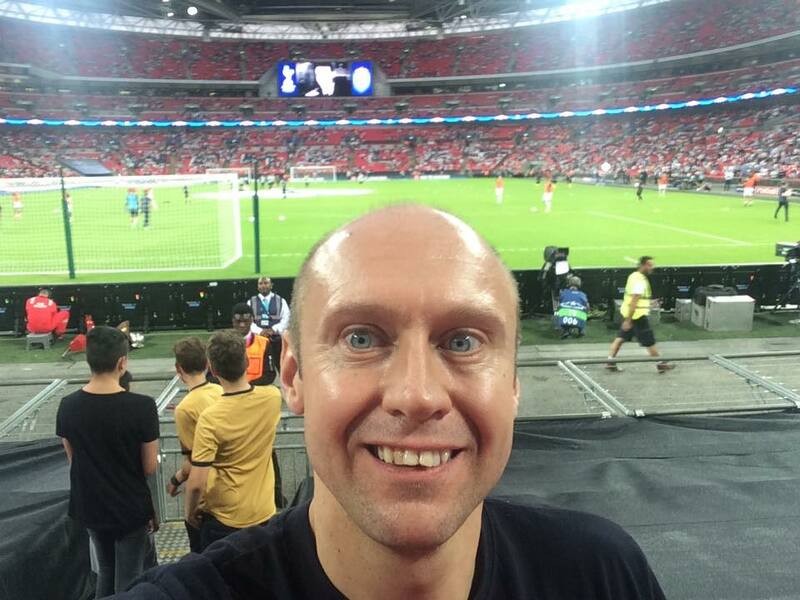 Was them playing Tottenham Hotspur in a testimonial for their then goal keeper Gary Lester. Which is why I really went along for the first time to see them. I actually played for the Wycombe Wanderers Lions under sixteen’s for just over half a season. And I did have a trial for their youth team but I did not get in. Instead I played for the Aylesbury United Youth Team. With my first game for them actually being a goalless draw against the Wycombe Youth team at Beaconsfield FC’s pitch. So I do have some kind of an affinity with the club, I guess. 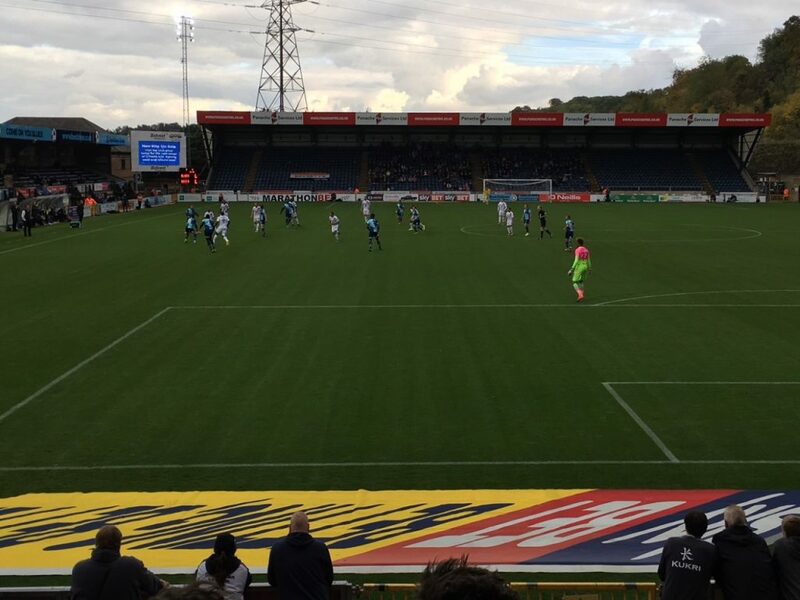 So last Saturday I went to Adams Park with my Dad to see the Blues face Barnet. A game that I saw many times as a kid. When both teams were still in the Vauxhall Conference, as it was back then. It had been a few years since I had been to see them in action. So I have to admit I was not that familiar with a lot of the players. They have currently got a goalkeeper on loan from Chelsea. He is their fourth choice keeper behind Courtois, Begovic and Eduardo. He looked like a very good player. You could tell he was a class above this level. He is a long way from the Premier League team’s starting eleven. But he has a contract with them. Which is rumoured to be worth about thirteen thousand pounds a week. Nice work if you can get it. The game itself was pretty terrible to be honest. Both teams struggled to play much football. 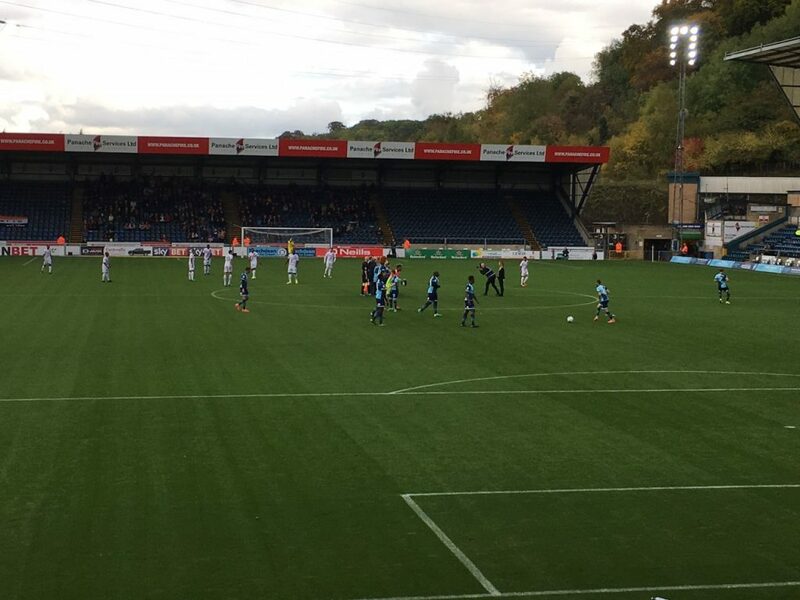 Wycombe had an own goal ruled out after the referee had blown for a foul while a cross was flying in to Barnet’s penalty area. And two defensive lapses led to the away team’s two nil victory. 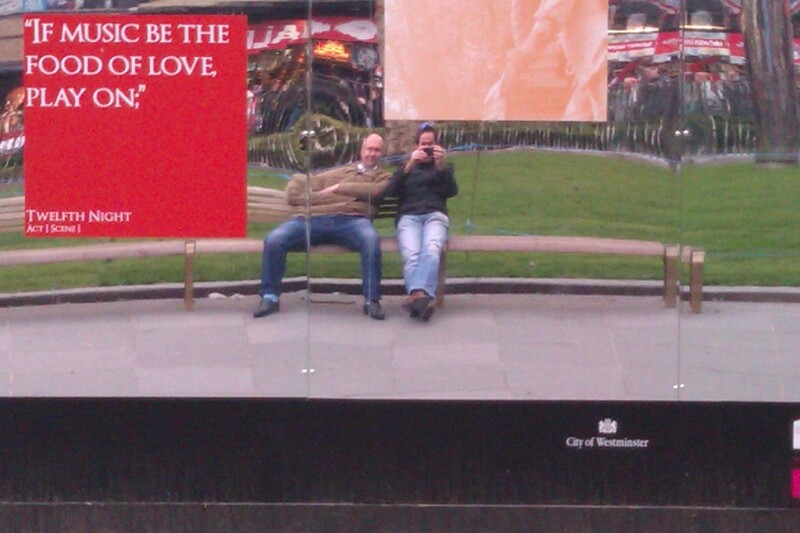 Plus points from the afternoon included spending quality time with my dad. The sausage and bacon roll that we had from the burger van outside. And seeing the beast that is Adebayo Akinfenwa in action. My dad and mum are season ticket holders and have to endure this experience every week. 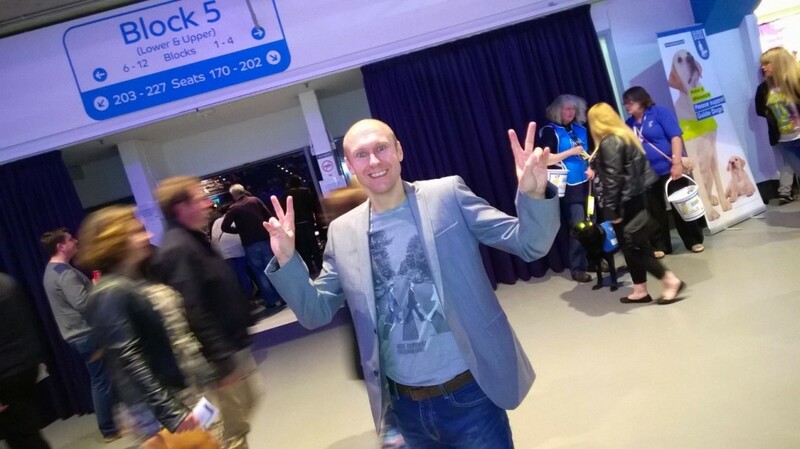 Joking aside, all the best to Wycombe Wanderers for the rest of the season, They are a nice family friendly football club. It has been another dramatic two weeks in Strictly Come Dancing. Naga Munchetty and Lesley Joseph have both left the competition. They both went a bit early I think, as they still had a bit more to give for me. That also meant we lost their partners Pasha and Anton. Which is a shame as Anton does bring a lot of fun and cheekiness to proceedings. Laura Whitmore could not dance the other week as she had injured her ankle. Brendan Cole missed last week’s show with a lung infection. Leaving his partner Anastasia to dance with Tameka’s former partner Gorka. Rumours about Brendan’s health got totally out of hand. When the Sunday Star actually ran a story claiming that he had died. Which came as quite a shock to the dancer. When he read it while resting at home. I am still loving the show though. It is just great all round entertainment. Tess Daily and Claudia Winkleman are doing a great job on the two main shows. And Zoe Ball is brilliant on the nightly spin off show “It Takes Two”. Such great fun. I would love one of those professional dancers to teach me to dance. 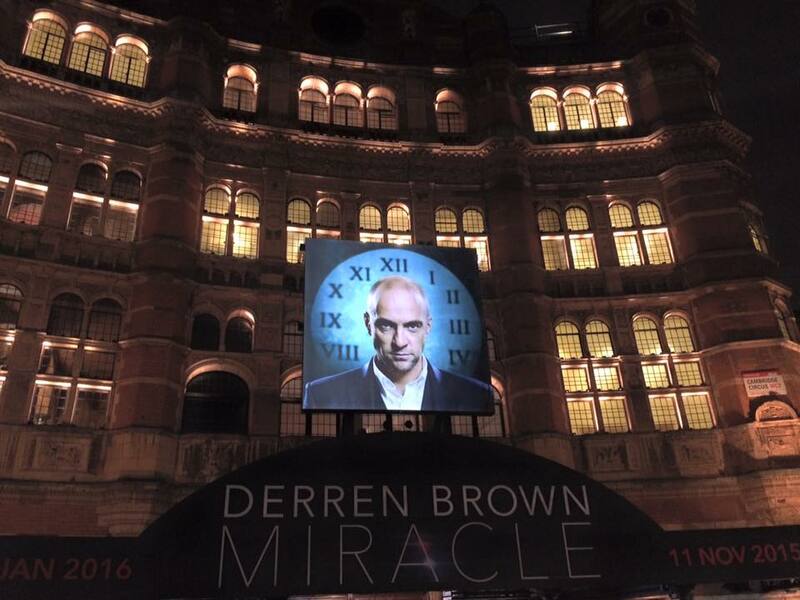 The latest Derren Brown live show “Miracle”. Which I saw in The Palace Theatre in London on its opening night was shown on Channel 4 recently. As I have said before I am a massive fan of his work. I thoroughly enjoyed watching it again. I could see him do that show over a thousand times and still not have a clue how he does it. He is like a real life Jedi. It is all just so clever and mesmerising. His performances are also so well structured with a set start, middle and end. With the final act and trick always just pulling the whole show together and completing the story of the night. Hi there, how are you doing? I hope you have had a really nice couple of week’s. Mine have been quite busy with some fun things going on. A couple of Saturday’s ago. 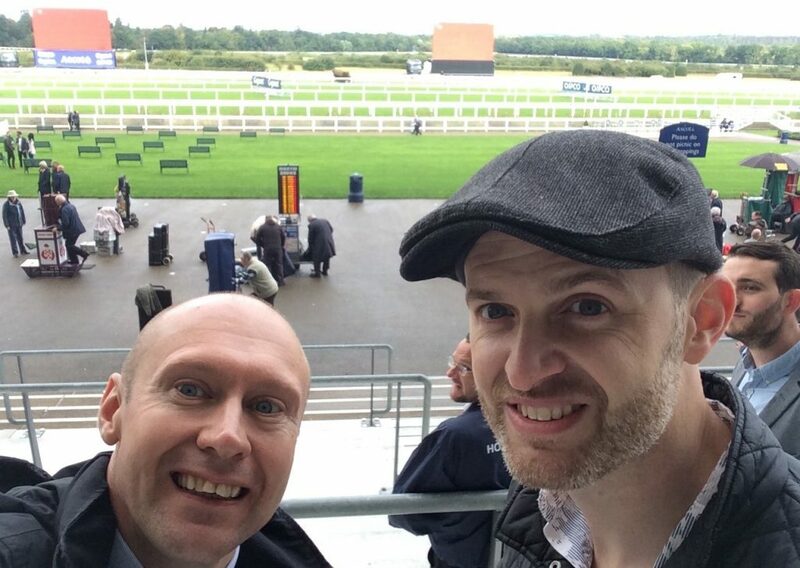 I went to Ascot for an afternoon of racing with one of my best mate’s. He turned forty earlier in the year and me going to the races with him was part of my present. Always treat people to something you enjoy doing yourself, as a gift. That is my tip. Now we randomly selected a date that we would both be able to make. And would you believe it just so happened to be their Beer Festival meeting. I mean what are the chances of that? We got to the course around midday and collected our race cards, our beer tokens and our festival pint glasses. They had over two hundred and eighty different beers to try there. So if we were to get round them all. We certainly had our work cut out. I do have a couple of favourite local brewery’s. And as luck would have it. They all turned out to be there. These are the Rebellion Brewery in Marlow, XT Brewery in Long Crendon and The Windsor & Eaton Brewery. Which I am sure you can work out for yourself, where they are based. So to be honest we stuck to these brands during the afternoon. Just sampling a few of their different ales. I hasten to add. It was a fun afternoon. 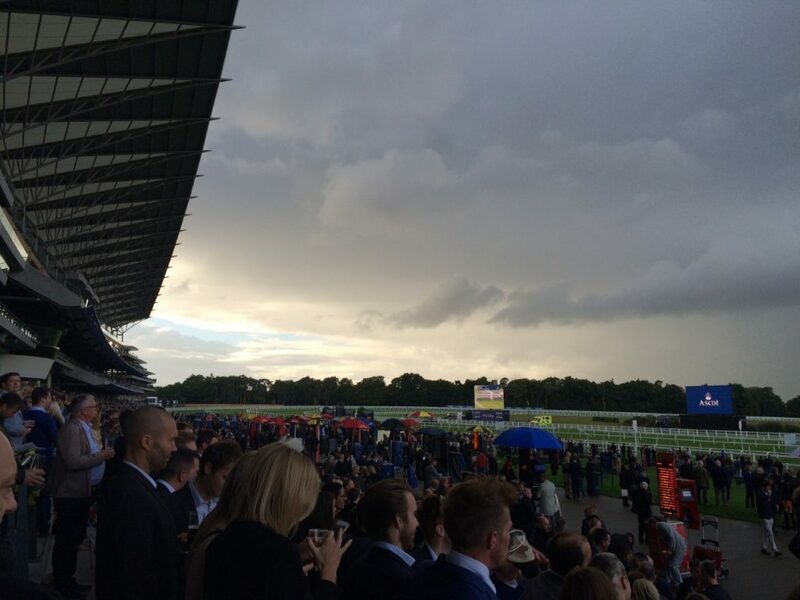 Ascot is a great course with a fantastic grand stand from which to enjoy the races. But as it is a venue that is often visited by Royalty. I guess that you would not expect anything less. It was nice just enjoying a few drinks and trying to win some of the beer money back on the races. Although it is fair to say we were not very successful on that front. We both had horses pipped at the post. That would have got us a win each. And the only success we had was my friend got a second place for a horse that he had backed each way. I do enjoy an afternoon at the races but I have still never met a poor bookmaker. We grabbed some food while we were there. To keep our energy levels up of course. I did like the combinations of some of the food and drink outlets they have there. For example we enjoyed a lovely real Cumberland sausage hot dog from the Champagne and Grill Bar. Where you could buy a bottle of Bollinger with an accompanying hot dog or burger. And to my surprise many people were. Another great afternoon out. Most people get dressed up to go to the races. So it has the feel of being at a giant wedding. With the added bonus of some horses to shout for. Always a great day out win or lose. Although let us be honest, it is better if you do have a few winners. I am really enjoying this series of Strictly Come Dancing. Once again there are some really good and entertaining couples. And I always like seeing the close relationships that develop between the professional dancers and their celebrity partners. I would still not like to pick a winner yet at this stage of the proceedings. I think there has to be a few of them in contention. Personally I have not got a favourite yet. So I am actually a little bit sad when I see any of them leave. But that is the deal. And the way the show has to work. I did feel really sorry for the first one’s to go Melvin Odoom and his partner Janette Manrara. I think he is just the sort of character you want around the place. 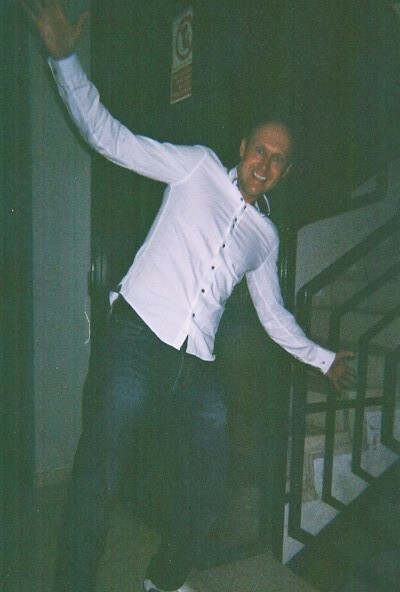 Upbeat smiley, fun and to be fair to him not the worse dancer there by a long way. Also it is a shame to see a fantastic dancer like Janette go so early. But again that is the nature of the beast. It was unfortunate to, in the way it happened with Anastacia being unable to take part in the dance off due to injury. I really like her and with what she has been through she is truly an amazing person. But it just seems almost wrong that by not dancing she went through. I appreciate they are the rules and they have to be in place for matters like this. And ultimately it was the public who decided who went. So basically anyone who was not happy with the outcome. Unless they voted for Melvin cannot complain. If they thought he should still be in the competition. They should have voted for him. Although he has done a bit of television presenting. He is best known for being on the Kiss FM Breakfast Show. Which is a big national station and has some very impressive listening figures. But I think the audience that listens to him on the radio would not necessarily be the kind of people, who may watch the show. And even if they did. I imagine they would probably not vote. Which possibly led to him going so early on. Even though there are less accomplished dancers than him still in the competition. Or to look at it another way. It is just a fun Saturday night entertainment show. They know what they sign up to and being voted out is all part of it. The next celebrity to go was Tameka Empson. Who was was sent home by the judges after a dance off with Laura Whitmore. Again to be fair I thought both of them were very unlucky to be in the bottom two. There were worse performances and neither of them really deserved to leave the competition at this point. But the best dancers are not always the most entertaining. It goes out on a Saturday Night. So why shouldn’t we enjoy some silliness and appreciate the people who are trying their best but just ultimately making us laugh. Yes it is a dancing competition but part of the reason it has lasted so long. Is that the celebrities involved are not dancers. It was a shame to see Will Young leave the show for personal reasons. I thought he was progressing along very nicely with his partner Karen Clifton. I wonder who will go this week. Or if indeed anyone does after this shock departure. I have no idea what they will decide to do. But I suspect they will carry on as normal and as ever one couple will be out on Sunday. 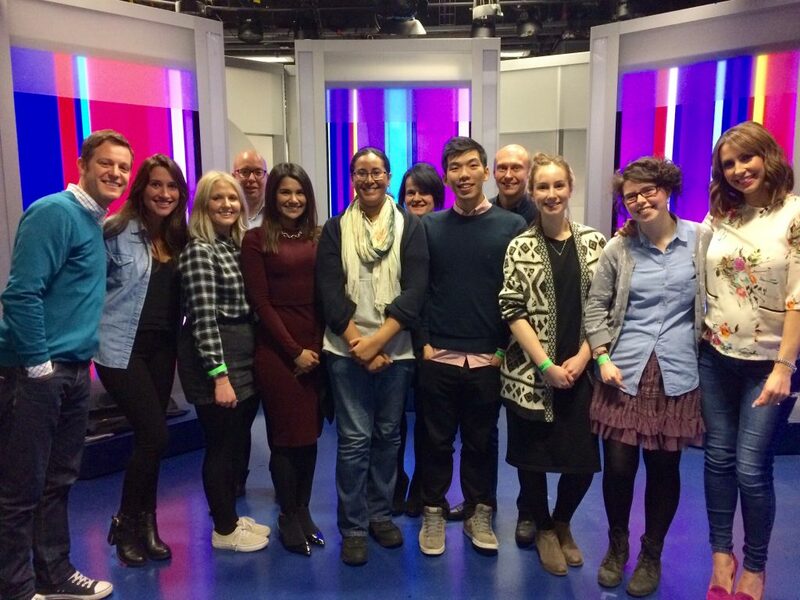 Last Tuesday evening I managed to get myself a place in the audience for The One Show on BBC One. It is their mid evening magazine style show that is on Monday to Friday at just before seven. It just so happens to be filmed at the same place where I work. But it was the first time that I had been in their studio. The guests on the show I saw were Jasper Carrott and Alistair McGowan. I have been a massive fan of Jasper Carrott for pretty much as long as I can remember. My dad was a fan and used to watch his shows. So I think he may well have been the first comedian I ever saw. 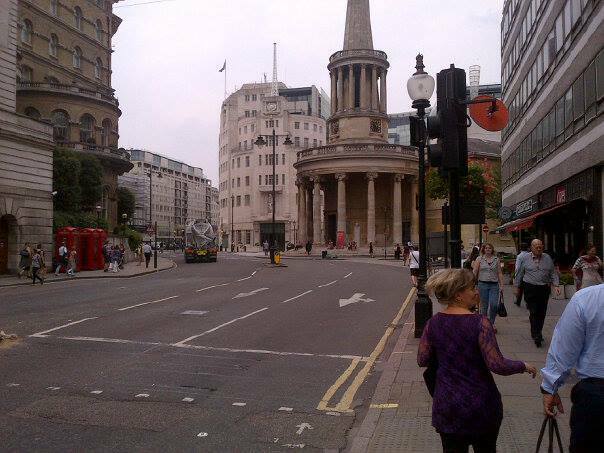 We met up in the Media Cafe in New Broadcasting House to check in. Then about fifteen minutes before the show was due to go on air. We were taken in to the studio. Already sitting on the famous green sofas were Matt Baker and Alex Jones. There were just ten of us. And they were nice and friendly making a point of say hello and welcoming us when we arrived. The floor manager Paul was brilliant as well. Telling us all what we needed to do and having a laugh with us. He also works on Strictly Come Dancing. So is a busy man at the moment. They then bought the two guests Jasper and Alistair in. The actual show itself goes very quickly and there are screens up so you can watch all the films that they feature. As the studio is small you are actually very close to the action, so get a great view of what is going on. 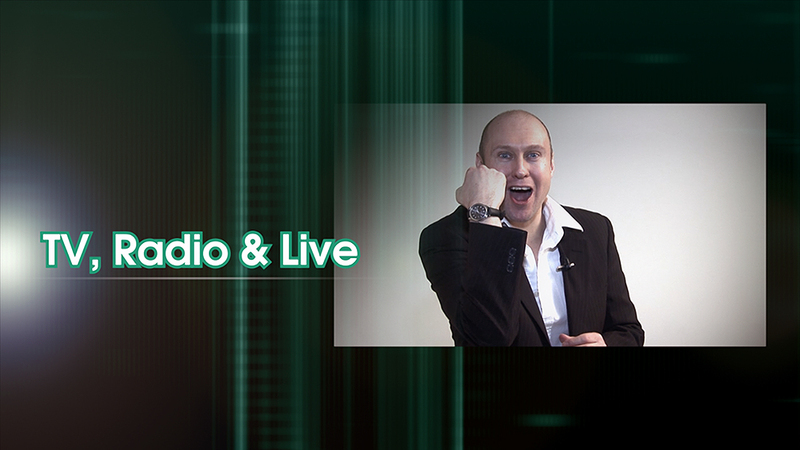 I for example could see the two presenters auto cue. And I was pretty much looking straight at Jasper Carrott for the whole programme. It was a great experience. And one I may well try to repeat in the future. Then after the show had ended Matt and Alex came over for a quick chat and so the whole audience could have a big group photo with them. I am still delighted with the way the Premier League season is going currently. Tottenham Hotspur sitting in second place. Still unbeaten in the league having defeated the leaders Manchester City in the process. Ruining their one hundred percent winning start. As I said previously I cannot remember a better time to be a Spurs fan than now. And at the moment we are still missing Harry Kane. Imagine what could happen when he is back. I am aware that there is a long way to go. But whatever happens I intend to fully enjoy this season. And hopefully get along to a few games. Specially as this is our last season at White Hart Lane. Last weekend I was out and about in London. As I often am nowadays. 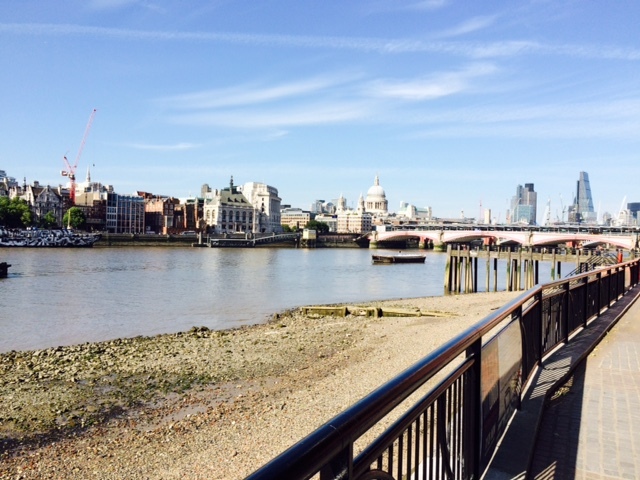 I was enjoying a nice walk around the South Bank. Stopping off for a relaxing cup of tea on my travels. It was getting to around two o’clock. When I realised I had not had any lunch. So after weighting up the pros and cons of a pub lunch or food on the go. I opted for the latter. And went to the nearby Borough Market. If you have never been. Imagine a market jam packed with every type of food you can think of and lots of people. It is always so busy down there. All the stalls are amazing. After walking around the whole place first. I settled for a home made Chicken Burger. Which was exquisite. The quality of the meat was exceptional. And way better than you would find in any fast food restaurant. I really must remember to eat there more often. When I am in that area. 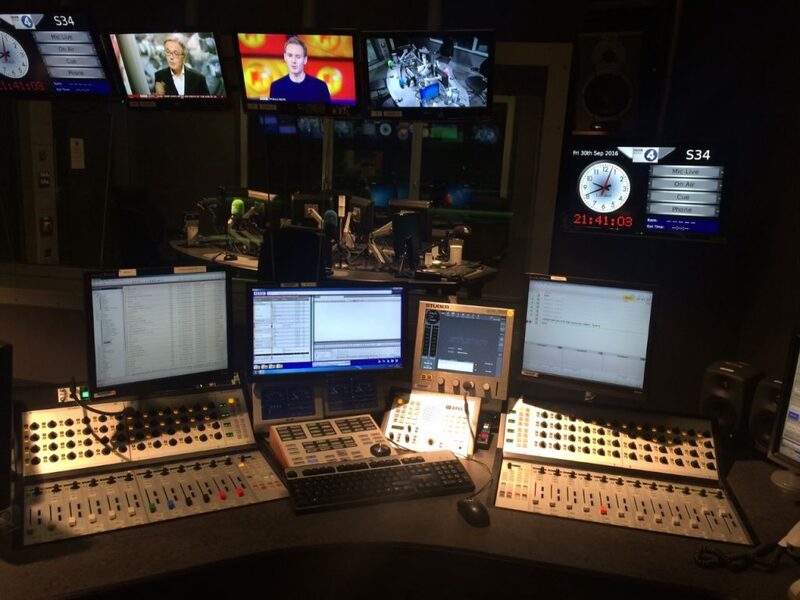 In the last couple of week’s I have been working on some new and interesting BBC radio shows. 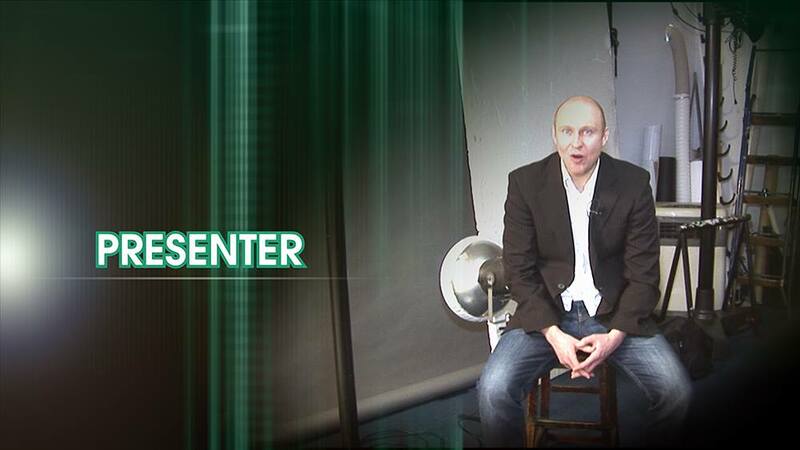 The other week I had the pleasure of working with the extremely talented news reader Tom Sandars. On a World Service News Bulletin. He is a regular on many of the BBC’s stations including Radio Two. In fact you may have heard people trying to make his toes tap. When Sara Cox is covering the Breakfast Show for Chris Evans. Not only is he brilliant at his job. But he is a really nice person to. I also walked straight past the radio legend that is Simon Mayo in the office the other day. 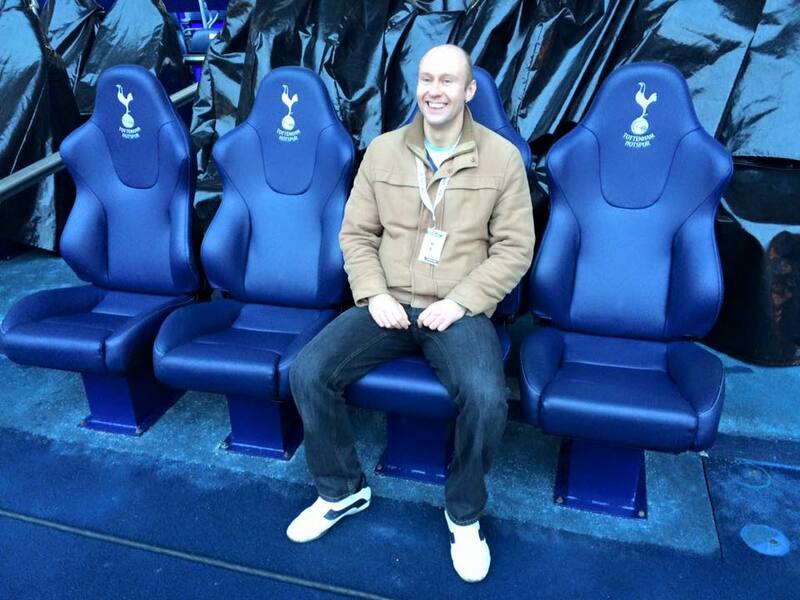 I was desperate to chat to him about Tottenham’s season so far. But as I do not actually know him. I just settled for a knowing nod and a smile, as he went by. My final recent BBC celebrity spot was the brilliant Huw Edwards in the staff canteen. Enjoying some food before the big evening news show’s. I am looking forward to seeing Sunny Afternoon at the theatre in London. It is another one of those shows. Where you already know the songs are ace before you go. It is based around all the music of The Kinks. I believe it is kind of the story of how the band were formed as well. A bit like the English version of The Jersey Boys. I will let you know what I thought about it next time we speak.